Everytable is a Los Angeles-based social enterprise restaurant that sells healthy, grab-and-go food that is truly affordable for all. Our meals are made fresh daily with simple, wholesome ingredients and perfect for your every day. Our business model, which utilizes a local, central kitchen and small-footprint restaurants, is designed to make fresh, nutritious food affordable for folks on the go.<br><br>We are well-funded, with a results-oriented management team that is dead-set on building a lasting business that solves a major social problem. We are, and will continue to be, growing rapidly.<br><br>Responsibilities:<br><br>Lead by example by delivering inspiring hospitality to each of the communities in which we operate, while also managing the day-to-day operations<br><br>Opening and/or closing of the store, assuring correct cash handling procedures and reconciliation, and immediately addressing and communicating any guest issues or suggestions<br><br>Oversight and maintenance of maximum food safety and sanitation practices including time & temperature, as well as proper maintenance of equipment and facilities<br><br>Create strong customer relationships<br><br>Representing Everytable, its food and our clients in a knowledgeable and professional manner<br><br>Desired Traits:<br><br>Mission driven: Passionate about our mission of making healthy food affordable for all<br><br>Optimistic, Reliable, and Disciplined<br><br>Leads by example, but also team oriented, and hands on, as you will be working alongside the Customer Experience Associate staff<br><br>Self-disciplined, and able to work autonomously in a high-intensity environment, and prioritize numerous responsibilities, while also being able to see the guest perspective in every part of your operation<br><br>Highly articulate and organized in their communication<br><br>Desired Experience:<br><br>Prior retail and/or food leadership experience<br><br>Strong written and verbal communicator<br><br>Requirements:<br><br>Valid California Food Handlers Card<br><br>Compensation & Benefits:<br><br>Competitive hourly wage & incentives<br><br>Free Meal at every shift<br><br>Essential Functions:<br><br>Regularly remains in a standing, stationary position approximately 30% of the time.<br><br>Regularly moves about the location approximately 70% of the time.<br><br>Regularly communicates with team members, leadership and guests.<br><br>Regularly moves and positions objects and equipment weighing up to 30 pounds.<br><br>Constantly monitors retail food temperatures and determines if products are up to all standards. 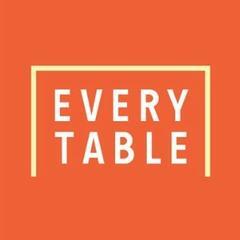 Everytable - Samo is posting their hospitality jobs on Harri.